Saturday afternoon, you can often find us having lunch at The Pineapple Room, sitting at the counter. 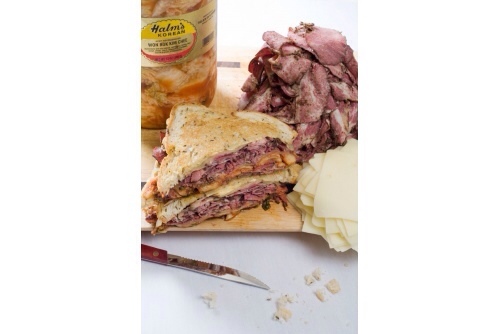 Check out the Kim Chee Reuben Sandwich. Alan Wong says, ” One of my goals is to help our staff achieve their goals and become more successful. The Pineapple Room was born when one of my chefs expressed a desire to have his own restaurant to run.” One individual's inspiration and goal sparked a good pairing with Chef Wong's simmering ideas for breakfast and lunch, as King Street (Alan Wong) only serves dinner. Serving breakfast on weekends, lunch daily and dinner six times a week, the Hawaii Regional Cuisine menu presents an array of dishes evoking many of Hawaii's ethnic flavors. 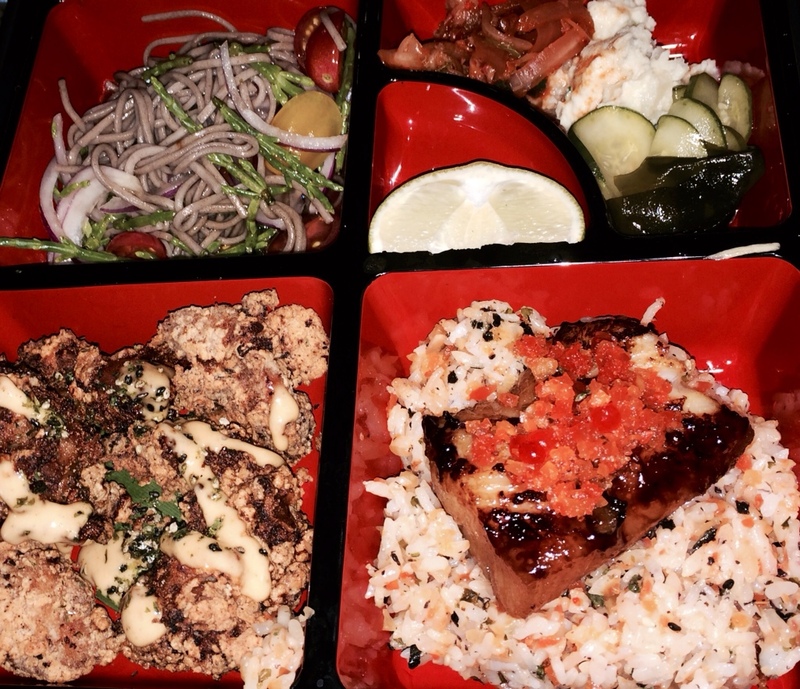 Pineapple Room “Bento” – Miso Butter Fish, Chickenn Karaage and Chirashi Rice. Kauai Grill – at The St. Regis Princeville Resort, you can't go wrong on the North Shore, with sweeping views of Hanalei Bay and Bali Hai, while enjoying a creative dining experience from Michelin awarded Jean-Georges Vongerichten. What we love about Kauai Grill, is the attention to the freshest local fish available, as well as other local produce like fresh hearts of palm from the Big Island. Hamachi Sashimi, radish and avocado with a soy-ginger dressing. Parsnip Soup, coconut, lime and mint, fantastic! Mero, Malaysian Chili Sauce and Thai basil. Mahi Mahi, Nut and seed crust, sweet and sour jus. Parmesan Crusted Chicken with white asparagus, basil and lemon butter. When the editors of Edible Aloha set out for dinner in Honolulu, one of their first stops is Chef Mavro Restaurant. Right now, enjoy Chef Mavro's passion for Truffles, below is the amazing menu we experienced. George Mavrothalassitis is chef/proprietor of Chef Mavro, Honolulu’s fine dining, top-rated restaurant and holds the prestigious James Beard award, considered the “Oscars” of the culinary world. He is a founding member of Hawaii Regional Cuisine and was recognized by Wine Spectator as one of the eleven most important French chefs working in America in the company of Alain Ducasse, Daniel Boulud, Joel Robuchon, and others. Below you can see the treasure box of Truffles, on the top right is Chef Mavro showing how he prepares eggs with truffles for the “Egg – Truffle Osmose”, bottom is Chef Mavro with is beautiful wife Donna. You can tell the ambiance of this restaurant by looking at their smiles.